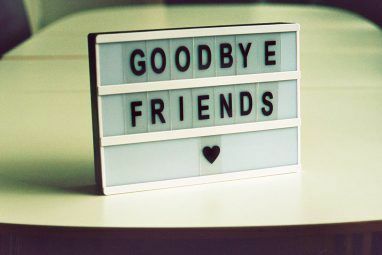 <firstimage=”//static.makeuseof.com/wp-content/uploads/2011/08/GooglePlus-Mac-Application-300×300.png”> Have you become a fan of Google+? Do you love your Mac? Are you a fan of native Mac apps? If so, you’ll love this newly released Google+ application for Mac. It’s what many Mac users have been waiting for. A simple standalone application to keep track of Google+ while users get on with other things. It’s the first of many to come – even the creator claims that this is an interim application while he works on something even better to replace it. But get in now and you’ll remember to keep an eye out for when there’s an update released. So What Is This App? Basically, the application is a simple way to access the web version of Google+ using your browser. For now. In the future, this developer will be working on something altogether more sophisticated. In the meantime, this is still pretty handy for those of us who like to have a separate application for all the different things we’re keeping an eye on during the day. This application has been hosted on CloudApp here. It’s a quick download, and installation simply involves unzipping and dragging the Google+ application to your Applications folder. Just open the application and log into Google+ as you would using any browser. When you’re browsing Google+ and clicking on links, they’ll open up in a new browser tab. Why Not Just Use Fluid? You could go to the effort of setting up your own Google+ application using Fluid, but it would take longer than downloading and running this application. 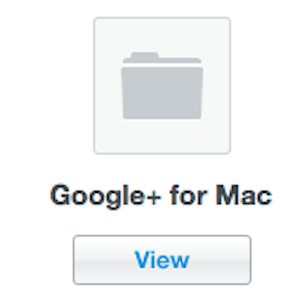 As far as I know, this is the only Google+ client for Mac so far. The developer is working on a more sophisticated Google+ application for Mac as we speak, so it shouldn’t be too much longer to wait for something with a bit more meat on it. Meanwhile, Windows users can make use of the GClient application, there’s an iOS Google+ App For iPhone Released & Ready For Download [News] Google+ App For iPhone Released & Ready For Download [News] If you've already caught the Google+ buzz, and you’re an iPhone user, your free Google+ native client app is ready for download. 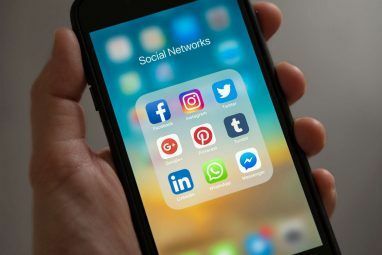 Google+, launched last month, is a social networking site in which you categorize... Read More and Android client and everyone can use the website. Obviously, some of you might be keen to hold out for the more developed Mac Google+ application. 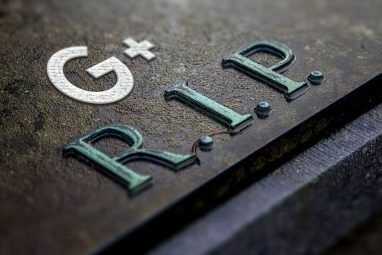 In the meantime we can take heart in the fact that developers are working on Google+ applications and that this means sufficient people actually seem to believe Google+ has a bright future. We can only hope! What are your favourite Google+ tools so far? Which browser extensions do you use? Which applications? Let us know in the comments! It looks exactly the same as the google+ website. It's true that it's not official, but I've hunted around for problems and not found any as of yet. Will keep you posted if we hear otherwise.